A man has revealed how he learnt a valuable life lesson after inviting an elderly woman who was dining alone to join him. 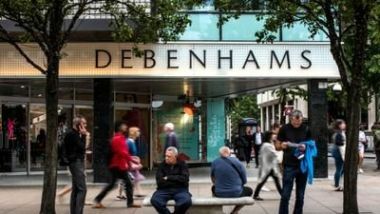 The new owners of Debenhams will outline plans this week to shut 20 of its stores early next year, casting a further pall over the UK's crisis-hit high streets. Sky News has learnt that Debenhams will launch a company voluntary arrangement (CVA) in the next 48 hours that will pave the way for more than 10% of its outlets to close immediately after this year's crucial Christmas trading period.